Thursday Moda #147: The Holiday Series 2018, New Year's Eve Style. Good Morning Ladies. It is my last linkup of 2018 and there are only four days left in this year. My blogging friends and myself are back again today for one final edition of "The Holiday Series 2018". You can read more about it below and see all the lovely ladies' outfits. It is fitting that we dedicate the very last (and sixth) post of this Holiday Series to New Year's Eve. And if you read my very last post, you also know that this is the second New Year's Eve Outfit I am blogging. That last outfit was about 'the skirt' and this one is about 'the dress'. I definitely think skirts and dresses are the first choice (at least for me) to wear when it comes to New Year's Eve. I was wearing a Metallic Silver Faux Leather Skirt yesterday and I am wearing a Silver Rose Brocade Patterned Dress today. THE HOLIDAY SERIES 2018: NEW YEAR'S EVE STYLE. All of you know I love the Who What Wear line at Target. It has chic, sophisticated, feminine, well-made and well-priced pieces and their December collection is always the best. This lovely dress with the ruffle or peplum hem is from there. I love the Silver Brocade or Jacquard Rose Print. 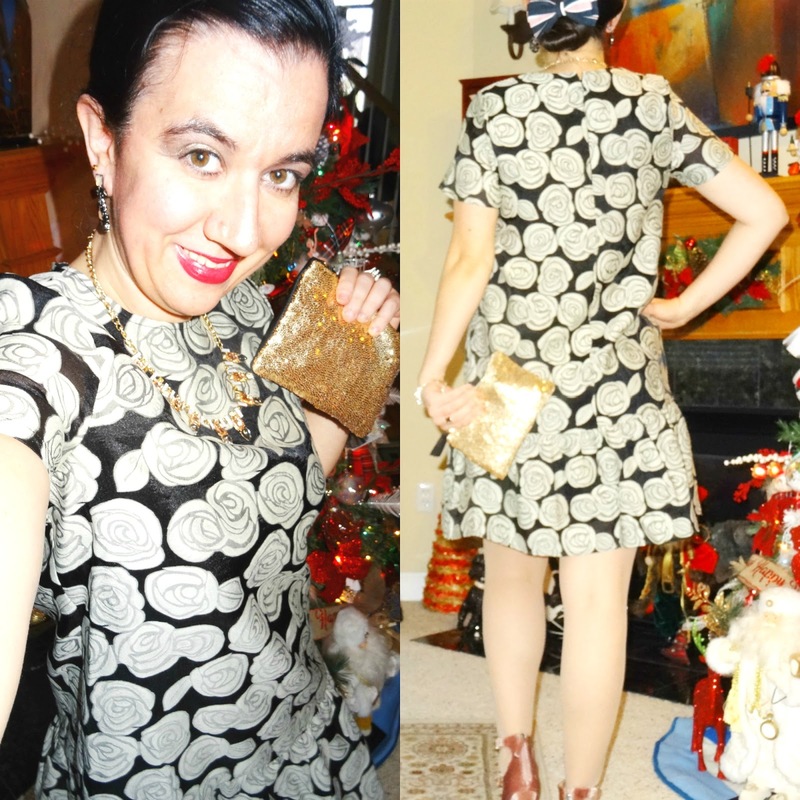 I think it is the perfect dress for New Year's Eve because it has enough sparkle and lots of silver. 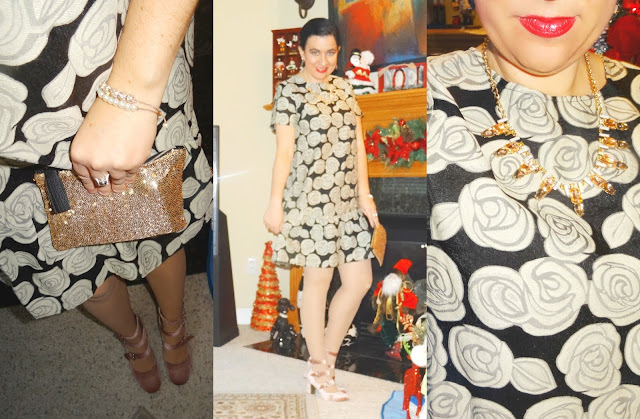 I decided to add more metallics to this outfit with my Rose Guld Sequined Mini Clutch (in actuality a little makeup bag from Ipsy that I get on my subscription, monthly), a Silver+Rose Gold Stone Necklace (by Wal Mart believe it or not) and Gorgeous Bronze+Silver Crystal Statement Earrings by Sugarfix (Target, duhh!). I think for the shoes I went with, were an unexpected choice. I chose these Strappy Blush Pink Velvet Pumps (purchased 2 Springs ago at DSW). Of course I have on a few bracelets and a couple of rings, too. That Beautiful Navy+Pink Striped Silk Bow Clip on my hair (by Forever 21) certainly makes my little low bun festive. I think between all the textures, sparkle, metallics and crystals I have enough glam and glitter to ring in a new year, what do you think?! But I will be honest with you, when the ladies were sending in their outfit photos, I was so surprised by how much black I saw. I love that 3 of the fashionistas wore Black Skinny Leather Pants and I'd wear each of those outfits in a heartbeat but the look with the pleated skirt is my most favorite of all. However, Roxanne takes the cake for the most festive, most sparkly look with her All-Over-Sequined Mini Dress. HAPPY NEW YEAR 2019 FROM ALL OF US!! LINDA A Labour of Life "What I am not wearing this year for New Years Eve. New Years is always glitz and glitter but also fur and warmth. Adding my black fur helps make even the coldest of nights feel wonderful. This year however I will be poolside in Orlando with my boys so I am sharing what I normally would be wearing not what I am actually wearing. (Only because it's hard to share a preview of what I will be wearing poolside, when there is so much snow around.) Happy New Year's Eve and wishing you all the best in 2019!" MONICA Jersey Girl, Texan Heart "Ok, I'm going to be super blunt with y'all. I will be staying in this year. I posted a dress in yesterday's post, but let's be real, I will be relaxing and drinking my wine at home with my family and probably falling asleep before the ball drops, don't judge me haha! I hope everyone has a happy new year!" LAURA I Do deClaire "This fun top caught my eye on amazon a few weeks ago and I knew it would be perfect for NYE! My husband and I haven't gone out to celebrate NYE for years, but I still like to sparkle, even if it's at home! This top can be dressed up with a skirt or leather pants, but it's just as cute with black leggings or joggers if you are staying in. Hope you all have a safe and Happy New Year's! ADA Elegance and Mommyhood " My plans for New Year's Eve this year are up in the air, but I might take my mom and my daughter out for dinner, to a nice restaurant. For sure I will be wearing some sparkle and some silver though. I love this ruffled-hem black+silver brocade dress I chose. With the right blush velvet shoes, a bow in my hair, a sequined clutch and crystal earrings, my dress is perfect for New Year's. Cheers to a Bright and Beautiful Two Thousand Nineteen!!" ROXANNE Glass of Glam "I love any chance to wear sequins, so for this outfit I went all out with a long-sleeved sequin mini dress from Rent The Runway. I've had so many positive changes in my life this year that there is much cause to celebrate! To a successful 2018 and an even more successful 2019!" BOJANA Bo's Bodacious Blog "It's Bojana from Bosbodaciousblog. Even though we aren't going anywhere fancy for NYE, I am still planning on ringing in the New Year in style with this gorgeous, light pink, shimmery, pleated skirt and a crimson red velvet top. Hop over to see the outfit details and read about our plans." SHELBEE Shelbee on the Edge "I love the classic combination of black and white for special occasions and what is better than velvet, faux fur, and sequins for New Year’s Eve? I chose this black velvet burnout top from Foxcroft to pair with wide cuff cropped white denim for a comfortable but chic holiday outfit. My new black faux fur coat was a Christmas gift from my husband this year. I fell in love with this coat the moment it came into the consignment shop. And of course, sequined booties are perfect for ringing in the new year! Wishing you all a happy and blessed 2019!" 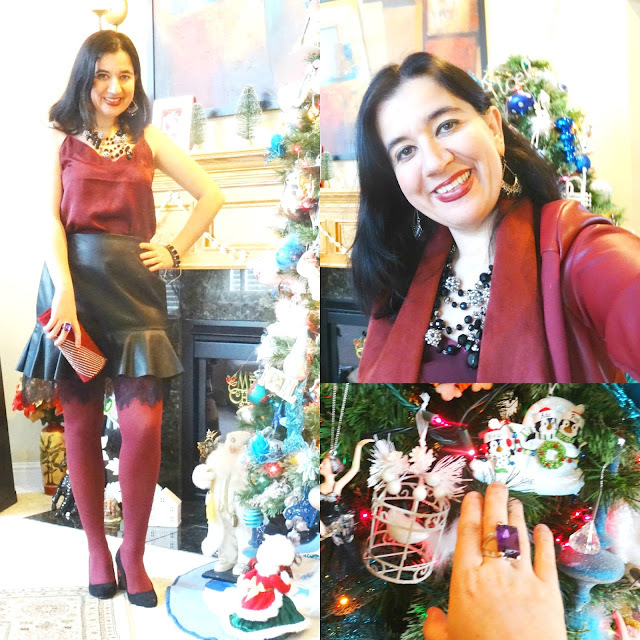 And this is what I wore last year for the same collaboration post, during the Holiday Series -- the New Year's Eve Look. I colorblocked burgundy with black but added lots of texture and bling. Very different outfit from this year I'd say. But both are equally stylish and put-together, no?! 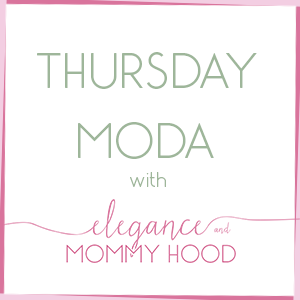 I wanted to focus on the beautiful+stylish ladies who are wrapping up "The Holiday Series 2018" today, therefore they are my Featured Bloggers for Thursday Moda. Not only do these women dress well but I am glad to call them my friends! 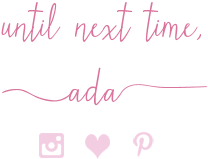 It makes this entire blogging journey all that more fun and easy-going! I will be back next Thursday on a new year with all the Fashionistas I will feature, that wore my favorite looks that will be linked today.